OneDublin.org’s unique Life in College series includes articles written by recent Dublin High School graduates about their experiences in colleges across California and the US. To contribute or recommend an article to include in this series contact us at editor@onedublin.org. Life at Stanford University: Dublin High School’s Jianna So Combines Product Design with Social Impact – Dublin High School Class of 2017 alum Jianna So shares how she discovered a love for Product Design at Stanford after initially expecting to pursue a degree in law focused on social justice. Life at Johns Hopkins University: Dublin High School’s Joanne Baek Combines Passions for Engineering, Chemistry and Biology – Dublin High School Class of 2018 alum Joanne Baek shares why she chose to pursue a passion for STEM at Johns Hopkins and how Dublin High School helped her get there. Life as a Highlander at UC Riverside – from Dublin High School to SoCal – Dublin High School Class of 2016 grad Anaswar Jayakumar shares why he selected UC Riverside to pursue a passion for mathematics. A Bruin’s Declassified School Survival Guide – Pranav Singh’s Journey from the Bay to UCLA – Dublin High School Class of 2017 alum Pranav Singh shares practical advice on how on the college application process and the transition from high school to college. Life at USC Studying Engineering – Dublin High School Loic Alini’s STEM Journey – Dublin High School Class of 2017 alum Loic Alini writes about how he decided to select USC and pursue a degree in mechanical engineering, and the transition from high school to college-level academics. Dublin High School Alum Hania Guiagoussou on Combining Computer + Political Science at Sciences Po + Columbia – Dublin High School Class of 2017 alum Hania Guiagoussou’s story about pursuing not one, but two degree in two countries. 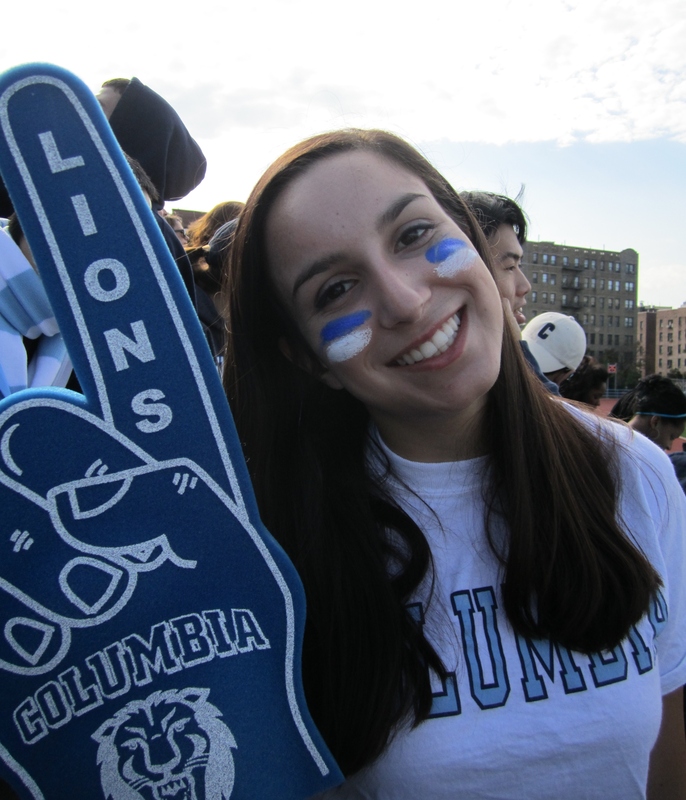 Studying Abroad: Dublin High School’s Leesa Ko Pursues a Dual BA at Columbia University and the Paris Institute of Political Studies – Dublin High School Class of 2017 alum Leesa Ko shares her experience so far pursuing a joint degree at Columbia University at Sciences Po (France). Life at UC Berkeley: Dublin High School’s Lily Hu Turns Passion for Math into Data Science + Economics – Dublin High School Class of 2017 graduate Lily Hu is interviewed by fellow Dublin High School student Neha Harpanhalli about how an interest in math started in high school can continue into college. Life in Harvard University: Dublin High School’s Armaan Sengupta Explores Computer Science at the Ivy League – Dublin High Class of 2017 alum Armaan Sengupta discusses his first year at Harvard University where he is studying computer science. Life as Biology Major at UC Irvine – Emily Bryant’s Journey from Dublin High School to Science in SoCal – Dublin High School Class of 2016 alum Emily Bryant shares her story of discovering a love for science during high school and pursuing that passion in university at UC Irvine. Life at Tulane University – Nick Padnos’ Journey from a Dublin Gael to the Big Easy – Dublin High School Class of 2016 alum Nick Padnos talks about what it’s like to go to college in “The Big Easy” and what makes New Orleans culture so unique. Jessica Bouchard on Life as a Kinesiology Major at Cal Poly San Luis Obispo – Dublin High School Class of 2016 Jessica Bouchard talks about why she chose Cal Poly SLO, what sparked her interest in kinesiology and what helped her overcome homesickness. Life in Stanford University: Dublin High School’s Kyle Reed Discovers Product Design – Dublin High School Class of 2016 Kyle Reed shares how he discussed his passion after starting Stanford University undeclared, and offers advice on managing through imposter syndrome. Surviving and Thriving in UC Berkeley Engineering – Dublin High School Alum Madison Hildenbrand on the Transition to College – Dublin High School Class of 2016 grad Madison Hildenbrand discusses why civil engineering is so important to the world, and how she’s tackling the rigor of Berkeley Engineering. Life as a Microbiology Major: Amy Peng’s Journey from Dublin High School to UC San Diego – Dublin High School Class of 2017 alum Amy Peng shares what inspired her to pursue STEM classes in high school and beyond, and offers advice for students interested in STEM. Life at Colby College – Dublin High School’s Robert Durst Skates from Hockey to Computer Science – Dublin High School Class of 2014 alum Robert Durst shares his story of following a passion for hockey to the east coast and pivoting to computer science in college. Life in a Community College: To the Top and Back Again (without the debt) – Dublin High School Class of 2015 alum Courtney Varela shares her story of starting her college experience at the University of Portland before transferring to Diablo Valley College due to the cost of a private college. Alex Cappa at the Line of Scrimmage with the Humboldt State University Jacks – Dublin High School Class of 2013 graduate Alex Cappa shares what it takes to be an athlete at the college level – and how his love for sports started at Dublin High. Life at Chico State University – from a Dublin Gael to a Chico Wildcat – Dublin High School Class of 2014 graduate Caitlin Benoit learns that the most important lessons of college are keeping an open mind and making the most of every opportunity. Life at the University of Chicago – from Dublin High School to Hyde Park – Dublin High School Class of 2012 valedictorian Andrew Song writes about moving to the windy city of Chicago to attend one of the world’s premier research institution – the home to many Nobel Laureates – the University of Chicago. We followed-up with Andrew for a second story, covering his time studying abroad in Paris: Studying Abroad in the City of Lights – from The University of Chicago to Paris. These are just a subset of the Dublin High alumni stories to be found on OneDublin.org. To contribute or recommend an article to include in this series contact us at onedublin@comcast.net.